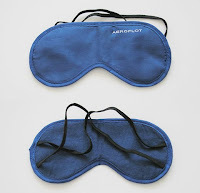 If you are a frequent flyer and if you are sensitive to brightness when you want to take a rest during the flight, I guess you will be using such eye cover to ease you for a nap. What if you left it at home and the flight does not provide one, especially you are on AirAsia? 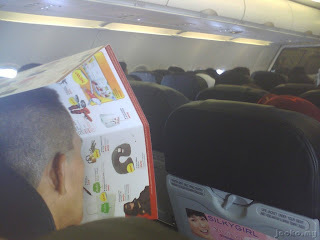 AirAsia airline, now everyone can fly. 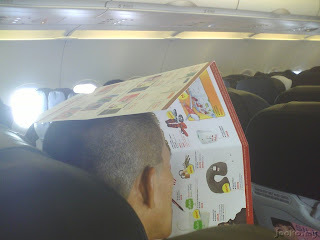 AirAsia leaflet, now everyone can sleep. Sometimes you just have to be creative and innovative with your surrounding like MacGyver, you can make your days better.